Medical anthropology, anthropology of conscience, ethno-medicine, psychological anthropology, anthropology of religion, social (cultural) anthropology, ethnology, ethnography, folklore studies. 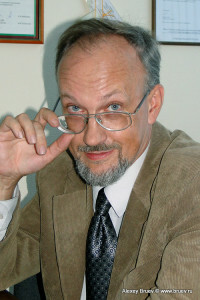 Doctor of Philosophical Sciences (2000), professor (2001), vice-president of Russian Association of medical anthropologists (2013), member of the editorial council of the journal “Medical Anthropology and Bioethics”. Yuri Gagarin State Technical University of Saratov. Head of department of sport, tourism and youth policy (2016). Education: Faculty of History in Saratov State University, historian (1991); Graduate school in the philosophy in Saratov State University (1992-1994); doctorate in the philosophy in Saratov State University (1997-2000). Research interests: medical anthropology, medical humanities, social history of medicine. Honors: Medal and prize of Presidium RAS, for book “Body in the Western Culture” (2002). Grants: Program of Interregional Researches for Social Sciences, Ford Foundation, Russian Found of Humanities, American Council of Learned Societies. Candidate of Medical Sciences, Associate Professor of the Internal Diseases Department of the Stomatology Faculty of the Moscow State Medical Stomatology University named after Evdokimov A.I. Education: Russian National Research Medical University named after N.I. Pirogov. Sphere of scientific interests: immunology, inter-disciplinary research, medical anthropology. The sphere of scientific interests – philosophy of culture, philosophical anthropology, medical anthropology. Sphere of scientific interests: methodology of inter-disciplinary approach, humanitarian aspects of medical discourse, comparative analysis of national medical images. Scientific editing and Russian publication initiative for the book Lynn Payer. Medicine and Culture: Varieties of Treatment in the United States, England, West Germany, and France. New York: An Owl Book Henry Holt and Company. 1996. Sphere of scientific interests – ethno-pharmacology, ethno-medicine, medical anthropology. Sphere of scientific interests: alternative medicine, use of hallucinogens in traditional and modern cultures, medical anthropology and social science, bio-ethics, studies of science and technologies, ethical aspects of reproductive technologies, art-therapy. Head of grant studies of the RFBR (currently), the Presidential Grant (2009-2010), RHSF (2003-2004), ANO INO-Centre (2003), etc. Scientific interests: medical anthropology, sociology of medicine, narrative medicine, phenomenology of experience, philosophical anthropology, philosophy of literature and art. Head of the Department of Philosophy, Moscow State Medical Stomatology University named after Evdokimov A.I. Venue of the field work – the Republic of Tuva.